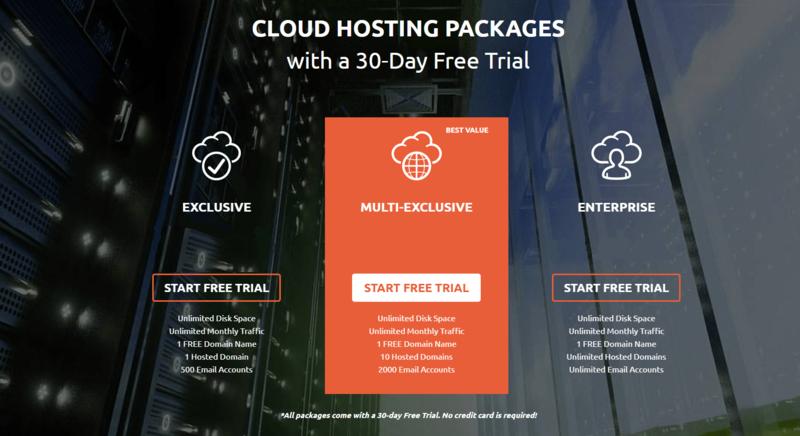 Exclusive Hosting Review 2019: Is Exclusive Hosting a Good Hosting? Exclusive Hosting offers unlimited disk space, unlimited bandwidth, and 500 or more email accounts as standard. While not for those new to web hosting, this service is robust enough to handle anything from a single website to a large network of sites. Exclusive Hosting has provided web hosting services since 2004 and hosts websites of all sizes. They are a U.K.-based company with data centers in the U.K., the U.S., and Australia. They specialize in low-cost hosting and offer standard features that you usually see only with the most expensive hosting plans. The good news is they offer amazing features. The bad news is that you need to know what you’re doing to use this service. This isn’t a service for beginners with drag & drop website builders. They do offer auto-installers and templates for WordPress, Joomla, and Drupal, but it is up to you to configure everything. If you don’t know what you’re doing, you need to either learn or hire someone to help you. The service is straightforward for those who some technical expertise, but beginners will struggle to use this product. Exclusive – This is their basic plan, but it is anything from basic. The only real limitations to this account are that you can only host one site with”only” 500 email accounts. You’re also limited to “only” 30 subdomains and a single MySQL database. There are no other significant restrictions to this plan, so if you’re planning on starting a single site, such as a blog or a single webstore, this is a great place to start. Multi-Exclusive – As the name suggests, this is for users who have more than one site to host. You can host ten websites, 100 subdomains, and up to 2,000 email accounts. You can also host up to 40 MySQL databases. If you’re looking to host a small network of sites or webstores, this is a great launching point for not much more per month than Exclusive. Enterprise – You get the works with this package. You have unlimited domain and subdomain hosting along with unlimited email addresses and MySQL databases. You also get an added feature of a dedicated IP address. If you have a large network of websites or just want the freedom to expand, this is your choice. For about the cost of a movie ticket, you get powerful hosting. Tthere’s no free account access with Exclusive Hosting. That’s because you get a free 30-day trial with any package you sign up for. If you are not happy in the first 30 days, you pay nothing. With the features that these paid services offer, you’d be advised to take advantage of the free trial than to sign up somewhere else for a free account. Overall, I am impressed by the support options with Exclusive Hosting. They offer both live chat and phone support along with an email ticketing system. They also provide a wide variety of video tutorials to walk you through common features such as adding a SQL database to your website. Their phone support has a US toll free line as well as numbers for the UK, Australia, and a general international number. The only drawback is that their phone support is not 24/7. It only runs daily for 14 hours. Exclusive hosting offers impressive features that will help you create and host almost any site. Their hosting service provides outstanding value with features you only see with expensive hosting packages. Wondering how Exclusive Hosting stacks up against other Web Hosting companies? Enter any other Web Hosting company and we will give you a side-by-side comparison.